One of the most influential figures in martial arts literature, or wuxia novels, Cha is regarded as one of China's three greatest writers of the genre along with Gu Long and Liang Yusheng. Cha's works such as the Condor trilogy and The Deer and the Cauldron as well as the numerous TV and film adaptations of novels have greatly influenced several generations of Chinese readers, especially those born after 1970. Many of Cha's Chinese fans recalled on social media the thrills and amazement they felt as they explored the wuxia world that Cha created in his novels. 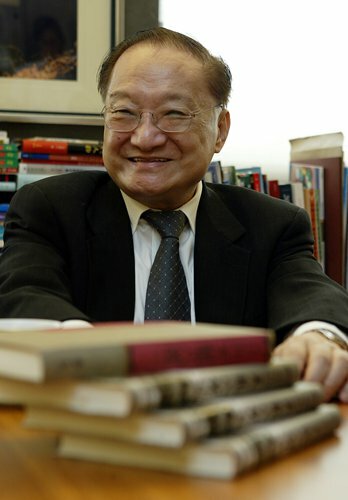 "Whenever I read Mr Jin Yong's novels as a child, I always pictured myself as a swordsman roaming around the world... Half of my childhood happiness came from the world that Mr Jin Yong created," wrote Sina Weibo user Gonge Fushum. Born and raised in East China's Zhejiang Province in 1924, Cha moved to Hong Kong in 1948. In 1955, he adopted his pen name Jin Yong to publish his first wuxia serial, The Book and the Sword, in the city's New Evening Post. Running from February 1955 to September 1956, the story quickly became a hit, bringing him unexpected popularity. From the late 1950s to the early 1970s, Cha wrote a total of 15 wuxia novels, including the best-selling The Legend of Condor Heroes, Fox Volan of the Snowy Mountain and The Heaven Sword. To date, all of Cha's wuxia novels have sold more than 100 million copies around the world, and this does not even include pirated copies. The popularity of the author gave rise to the saying: "Where there are Chinese, there are Jin Yong novels." The numerous TV, film, radio and stage play adaptations that have been made over the years have only served to make Cha's works even more popular. Even today, his creations are still one of Chinese TV and film producers' favorite go-to sources for stories. Seen as setting a new standard for the genre, Cha's wuxia novels mainly showcase the adventures of entire clans of swordsmen or commoner martial artists during periods of upheaval and turmoil in ancient China, such as the Song (960-1279), Ming (1368-1644) and Qing (1644-1911) dynasties. Characters in Cha's novels vary from righteous patriotic figures full of integrity such as The Legend of the Condor Hero's Guo Jing to unorthodox, androgynous roles like The Smiling, Proud Wanderer's Dongfang Bubai, or "Invincible East." Aside from the treacherous struggles between martial arts clans, Cha's wuxia world is also filled with dramatic romances and complex human stories that easily draw tears from readers. The spirit of "xia," a concept in his works that has deeply influenced generations of Chinese readers, is the key to understanding Cha's stories. Depicted as a chivalrous spirit that includes defending the weak and being faithful to one's friends, xia is "at its highest level" about working "for the country and for its people," Cha once wrote. Despite Cha's great impact on the Chinese-speaking world, the popularity of his martial arts works is relatively confined to a small group of fans in the West. One of the major reasons for this is that many of his works have yet to be translated into English. Even though various fan translations can be found circulating on the internet, only four out of 15 of Cha's works have official English editions. Translated by British-Swedish translator Anna Holmwood, the latest of these, The Legend of Condor Heroes, was published in February by British publishing house Maclehose Press. The other three that have made it into English are Fox Volant of the Snowy Mountain (1993), The Deer and the Cauldron (2004) and The Book and the Sword (2004). However, the quality of their translations has been called into question by many of Cha's hard-core fans. The abundance of culturally rich concepts and terms in Cha's novels seems to be the biggest hindrances for translators of the master's works. "The sheer complexity and difficulty of Jin Yong's work means that something like this [the English translation of the novel] takes a lot of time," Holmwood told the Global Times in a 2017 interview. Unlike his written works, TV adaptations of Cha's works such as The Legend of Condor Heroes and The Return of Condor Heroes have made their way into overseas markets and become hits. This was especially true for Southeast Asian countries such as Vietnam, Malaysia and Thailand in the 1990s, when Hong Kong TV adaptations were all the rage. They remain among the highest-rated and most well-known Chinese dramas in these countries today, according to media reports.